What the ever-loving fudge did I just discover?! Yes that is a Chevrolet badge on a Subaru Forester. No, that’s not a photoshop. 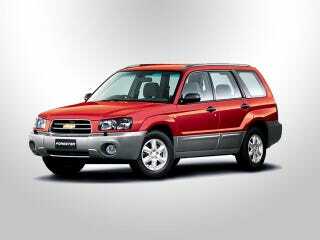 When the second gen Forester debuted, GM owned a stake in Fuji Heavy Industries. They saw this as an opportunity to get their grubby little hands into a new market with no effort of their own, and thus India received a Chevrolet Forester.